As Dominion continues to dramatically expand its solar power infrastructure in Virginia, it will more than double the number of sites for its innovative Dominion Solar for Schools program. Sponsored by the Dominion Foundation, the program offers K-12 students and educators alike a hands-on learning experience to generate electricity from a solar array installed on school grounds. Each participating organization will receive training sessions and curriculum on harnessing solar energy. The expansion of Solar for Schools occurs as Dominion’s solar investment in Virginia approaches $1 billion, with a dozen new solar projects being built, enough to power 100,000 homes. 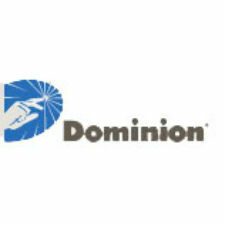 The Dominion Foundation is currently seeking applications from K-12 public schools or museums with STEM (science/technology/engineering/math) programming in areas served by Dominion Virginia Power. The Foundation will select six organizations to receive a 1.2 kilowatt photovoltaic system that converts sunlight into electric power. During the 2015-16 school year, four schools participated in the program pilot. “We are very pleased to build on the success of our Solar for Schools pilot,” said Hunter A. Applewhite, president of the Dominion Foundation. “This year we are expanding the program’s reach to give more students and the public the opportunity for a hands-on learning experience with clean, renewable solar energy.” The Dominion Foundation is the philanthropic arm of Dominion Resources. Dominion will once again partner with the National Energy Education Development, or NEED, Project. NEED supports Solar for Schools by providing technical support, installing the panels, preparing educational materials for students, and training the teachers. Each solar array will have a visual display that will show students and faculty real-time data on the amount of electricity generated. Each solar array will generate enough electricity to power 18 desktop computers, 40 ten-gallon aquariums, or 15 42-inch LED televisions. In a new component to the program, students will have a hand in branding their array with school colors or other designs. The company will accept applications for the Dominion Solar for Schools program through April 28 and announce the recipients in September. Solar installations will take place during the 2017-18 school year. Dominion will sponsor a “Solarbration” at each location to kick off and showcase the project. For more information or to apply, visit www.dom.com/solarschools.